What to Consider When Purchasing a Boat - Sparks Insurance, Inc. The wind in your hair, the sun on your face, and the open water in front of you. Sound appealing? Then you might want to join the ranks of boat owners all over the country. But before you cut through that clear blue, there are some things to keep in mind. Whether you're buying a fishing boat, cabin cruiser, pontoon or speed boat, different components like cost, horsepower, weight capacity or on-board storage may prove to be more important to you than others. What are you hoping to use your boat for? All boat styles have a different design tailored to the use. Speed boats may be better for tubing and water skiing, but wouldn't hold as many people or be as fish-accessible as a pontoon or fishing boat. Maybe you're in the market for a sailboat, or leaning towards a houseboat. There are so many different varieties of boats, so make an informed decision on which one is right for you (information provided by Discover Boating). What's your budget? This may help decide whether to purchase a pre-owned boat. According to Discover Boating, new boats depreciate anywhere between 25%-33% immediately after leaving the dealer's lot. So if you buy a pre-owned boat, someone else has already paid that depreciation cost - more boat for fewer dollars! However, buying a new boat will offer a warranty, the newest technology, and that nice shiny look as you move across the water - the choice is up to you! How many people are you hoping to go on your boating excursions with? The capacity on personal fishing boats is generally smaller than a pontoon boat, which are made to hold anywhere between 8-15 adults comfortably. Will your car be able to tow the new boat? 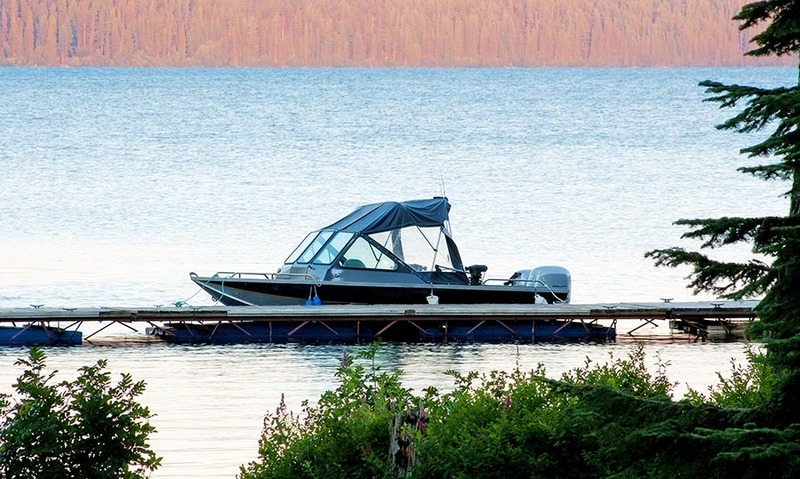 According to Auto Bytel, the average 21-foot boat trailer weighs between 500 and 1,000 pounds, while most boats in this size range hover in the 4,000-5,000 pound range. This means that you'll want an SUV or truck that is rated to tow between 4,500-6,000 pounds in total. Will your new boat fit in your garage during the off season? Alongside your garage? In a separate storage space? No matter what you decide, get out there, matey, and enjoy the open seas! Remember to inform your agent at Sparks Insurance of your new purchase to ensure your new boat is properly covered. Get a quote today to explore your options.